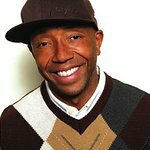 Russell Simmons has shown his support for 50 Cent following the rapper’s charity wish to help Africa on Twitter. “I want to impact people’s lives more. I created a new goal for myself, I want to feed 1 billion people in Africa over the next 5 years,” tweeted 50 Cent earlier this week. Hip-hop mogul Simmons was quick to back his friend up: “It is always inspiring to see people who come from ‘hell’ who want to create heaven,” he told GlobalGrind.com. "Like Malcolm X and many others who have come from struggle, it is the journey out of darkness to become advocates of light that is the most impressive.